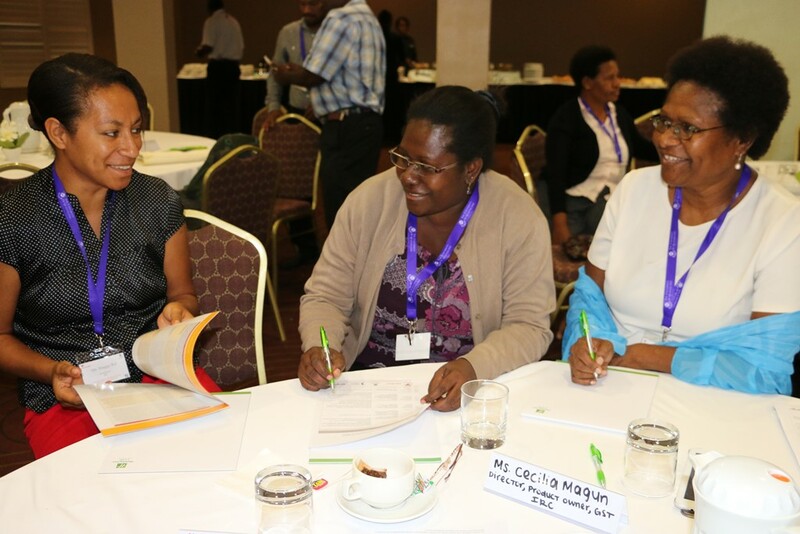 The new Pacific Leadership and Governance Precinct is supporting one of Papua New Guinea’s most important economic sectors by strengthening the leadership capabilities of government officials tasked with managing the nation’s resources-dependent economy. With a focus on supporting current and future generations of Papua New Guinean leaders, the Precinct brought together a mix of technocrats along with key industry players in Port Moresby this week to consider public policy challenges and opportunities in the extractives sector. Participants, including senior officials from government departments and state owned enterprises, discussed the challenges and opportunities for improved governance in the PNG extractives sector, the impact of low commodity prices, revenue transparency, ways to enhance PNG’s economic stewardship and ways to better develop and implement Extractive Industries Transparency Initiative – the EITI. The Precinct, which was officially launched on 6 November by PNG’s Public Service Minister Sir Puka Temu, Higher Education Minister Tabar and Australia’s Foreign Minister Bishop, is a joint PNG-Australian initiative to promote ethical and technically-competent leadership. 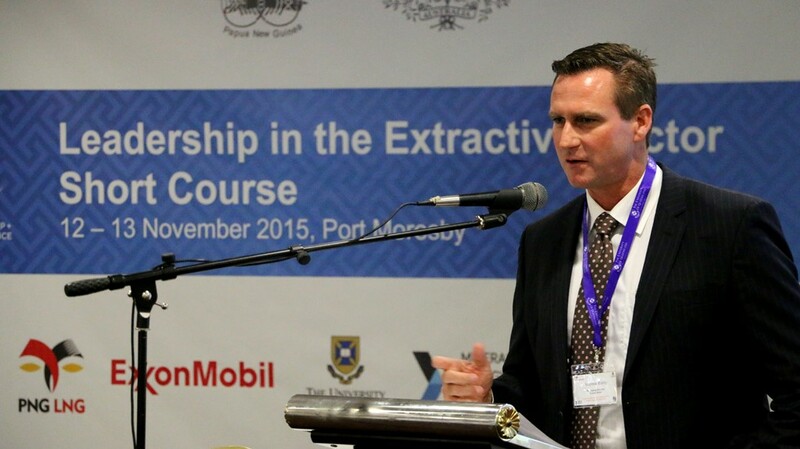 PNG’s extractives industry requires skilled regulators more than ever. Sharply lower commodities prices have contributed to a 12 per cent reduction in the PNG’s 2016 budget forecast. At the same time potential new mining and gas developments would, if realized, offer new revenue sources for the country. 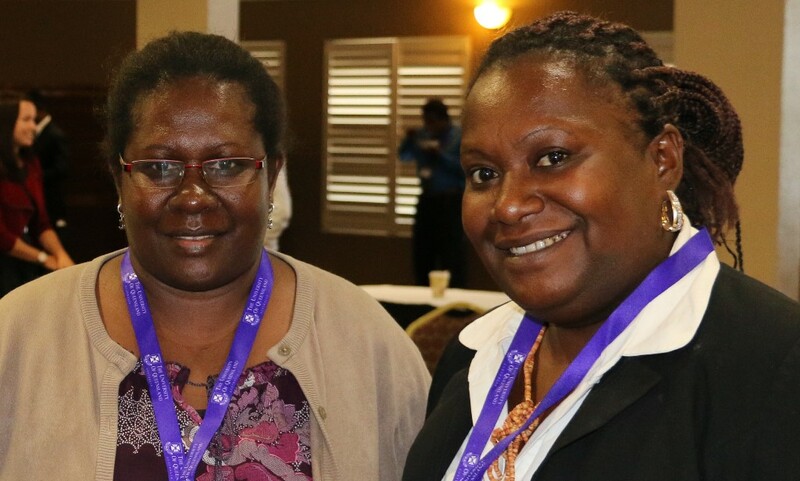 Supported by the PNG and Australian Governments in partnership with ExxonMobil PNG, the University of Queensland-delivered workshop focused on how pragmatic policy-making and implementation can overcome existing capacity constraints. 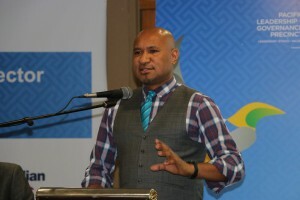 Speakers offered perspective on PNG’s position in the global and regional economies, and drew on lessons both from PNG’s history as well as case studies from Africa, Asia and Australia. 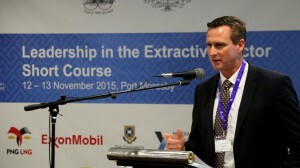 Acting Australian High Commissioner in PNG Bronte Moules said Papua New Guinea and Australia ‘enjoy an abundance of mineral and petroleum resources, and these are the powerhouses of our economies – we are clearly natural partners to collaborate on and to deliver a leadership in extractive industries event’. In December 2014 the Commonwealth of Australia signed a Memorandum of Understanding with ExxonMobil PNG focused on building development partnerships. The Precinct collaboration follows on from other partnerships in law and justice with ExxonMobil and the Hela provincial government. At the Precinct’s official launch last week, PNG’s Minister for the Public Service Sir Puka Temu said new courses would build a new generation of public service leaders. Australian Foreign Affairs Minister Julie Bishop told the launch that enhancing public sector leadership would allow PNG to cement the benefits of recent economic gains. “The challenge facing this generation of PNG leaders, and the next, is to take even bigger strides and build the very robust institutions that support successful and prosperous nations,” she said.